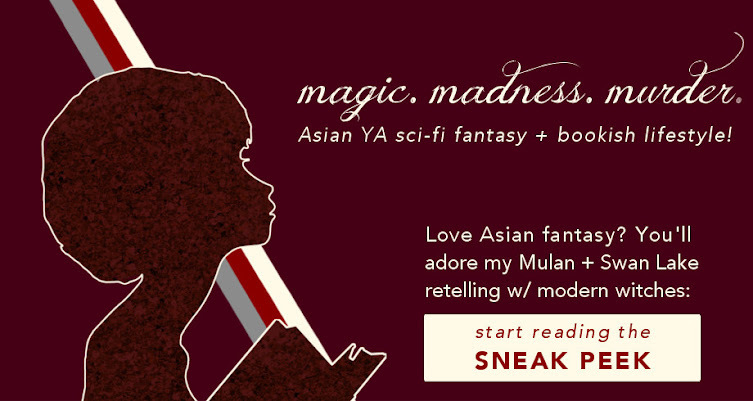 *GASP* This is my first book review on this blog, AND my first ARC review. But it's actually mostly a discussion post focused on a specific book. Authors affect the reading of a book in two levels: enjoyment and analytical. The enjoyment level is probably more common in the blookunity. There are some authors who absolutely rock it on the Internet, and Ava's writing blog never fails to deliver super useful advice. A while ago, there was a lot of discussion about how far one's impression of an author affects one's impression of a book. For me personally, the author isn't very important when reading a book, but they definitely contribute towards whether I choose to pick up a book. If Ava's writing advice wasn't so insanely helpful, I might never be following her, and hence have no clue her book even existed. It also meant I started reading with high expectations. The truth is, even if an author is amazing online and I pick up their book just because of that, that's not 100% in their favour. These expectations can be disappointed (and it has happened! ), which easily backfires in my opinion of the book. This did not happen with Beyond the Red — it was a fabulous novel in its own right, as I'll discuss in a moment. The analytical level is less common in the YA blookunity, perhaps because we don't analyse books that often. But it does apply to Beyond the Red to a limited extent (woah there, Alyssa, don't turn this into an essay). Ava advocates diverse representation so much, and Red totally portrayed that. Eros, as an alien-human hybrid, struggled with the same issues that biracial people might face; the characters were dark-skinned by default (which makes sense, because deserts! ); and a gay couple is featured. The book HAS to be awesome too. Beyond the Red met my expectations. Because I mean, no matter how awesome the author is, a mediocre book is mediocre. NOT SO FOR THIS ONE. To be honest, Beyond the Red was one of my first sci-fi reads in quite some time. But when I began, it was like returning to a favourite city. The writing was simple and elegant, with meticulous worldbuilding but never getting bogged down by detail. This book was scrumptiously addictive from page one. And oh, the characters. Perhaps because of the writing style, I was completely immersed in Kora's + Eros' respective mindsets. And this is in a book with dual PoV, where I typically find myself favouring one PoV over the other. But both characters were equally interesting. Don't ever make me pick which to throw in the trash compactor. But neither of them is my favourite character. I have the unfortunate talent of latching onto the doomed side of love triangles. Exhibit A: Paris from Romeo and Juliet. Exhibit B: Serek from Beyond the Red. I knew Serek/Kora was super unlikely, because Serek isn't even in the blurb. But could you blame me for shipping them? Serek is literally the cutest — he's the younger brother of the overlord of the planet, and one of Kora's suitors. He's sweet and caring and defends Kora and basically 100% okay with it when Kora realises she prefers Eros. And he is nice to Eros too. He's nice to everyone, but not at all a pushover. And even though his older brother is militant and the exact opposite of Serek's own personality, Serek never stops caring for his family. Their sibling dynamic was fascinating and Serek doesn't throw that away completely in favour of his romance with Kora. Serek is a prime example of why nice guys are THE BEST in fiction and in real life. I can't say more because SPOILERS, but I really enjoyed how the ending was handled for Serek. And there were ALL THE PLOT TWISTS. Clearly I can't ramble about this much, but I loved how the situation kept getting more complex and personal. Says Alyssa, as if being queen of a rioting nation with a brother trying to usurp your throne isn't already personal. Especially true for Eros, who starts with 'trying to survive' and ends with way more stakes. Just. Fabulously rising tension. OH AND. I ADORED how half-blood Eros serves as a fictional counterpart to biracial people in real life. This is clearly taken to the extreme in Beyond the Red, but his identity struggles were deliciously vivid. My two main issues with this book are the romance ... and the other romance. Okay, so one issue. It could be my dislike of romance in general, but I felt like Kora and Eros didn't have much chemistry. (Shrieking Serek/Kora at my Kindle didn't help.) The only parts of this book I skimmed over were their kissing scenes, because I couldn't wait to get back into the politics and such. The other romance is between Kora's younger brother and his (male) guard. Kora walked in on them in bed and this only made their relationship worse. It's a source of temporary conflict in the book, but I don't know ... I hardly know anything about either of them and I really wish this was given more of a spotlight. Perhaps in the sequel if there's one? Which, yes, I would absolutely read. Psst! 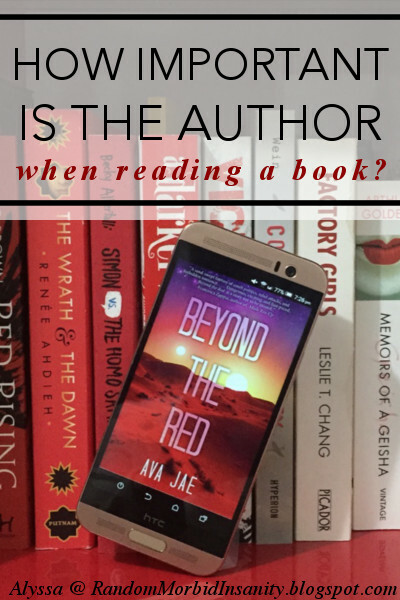 Ava is holding a preorder giveaway for people who preorder Beyond the Red before 29 Feb. (See what I mean about the author being important to whether you pick up a book?) Check out the details here. Thank you to Sky Pony Press for providing the eARC via Edelweiss! BEYOND THE RED comes out March 1st, 2016. SOOOO. Do you like this discussion/review mashup? How do you take into account the author when reading a book? And are you going to read Beyond the Red?